Surrey, BC – Today Cheryl Semonovitch begins a new chapter in her life as the first female Secretary Treasurer of IAM District Lodge 250. 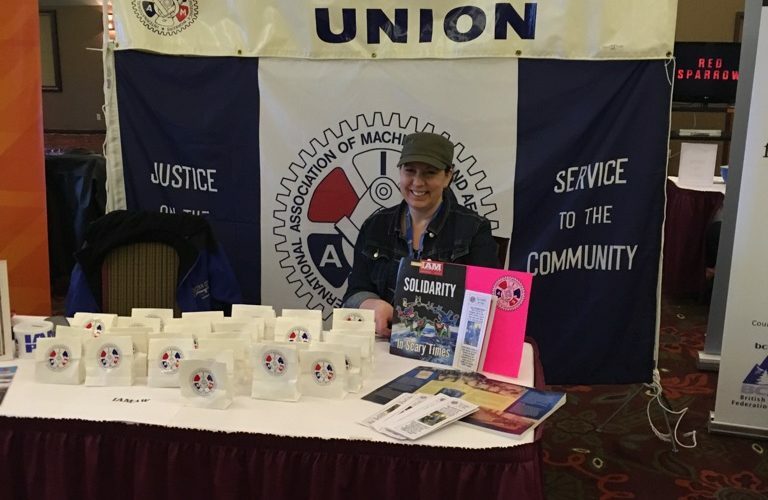 She became an IAM member of Local Lodge 1857 in 2007 when she organized the office staff at Collins Manufacturing, a truck body manufacturer in Langley, B.C. “Our shop floor was already part of the IAM and I wanted the same treatment for the office personnel, so I reached out to the Business Representative Andrew Tricker and we became part of Machinists,” she explained. She was very active within the union, sitting on the bargaining committee during four contract negotiations at Collins. As a shop steward, Cheryl pushed the employer to abide by the collective agreement every day on the job.